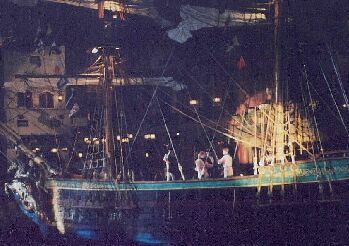 Treasure Island and the Mirage stand side-by-side. 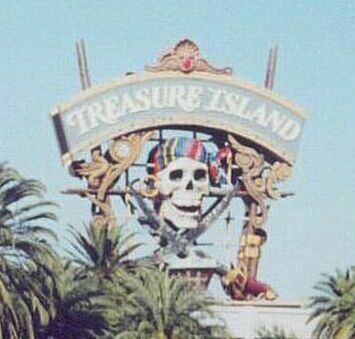 Treasure Island was built to resemble a Caribbean pirate village. 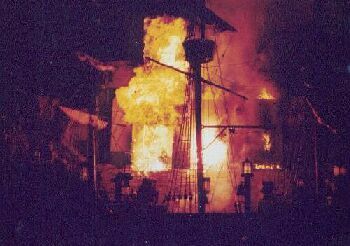 The front of the resort has a wooden plank bridge stretching over Buccaneer Bay. There are ships on either side of the bridge - the HMS Britannia and the Hispaniola. 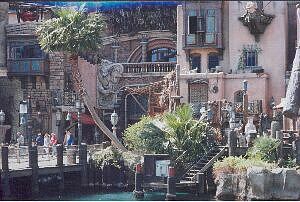 The battle can be seen from the wooden bridge in the centre or from the wooden sidewalk in front of the resort. You can also sit in Battle Bar to watch as the ships fire cannons at each other until one ship sinks. 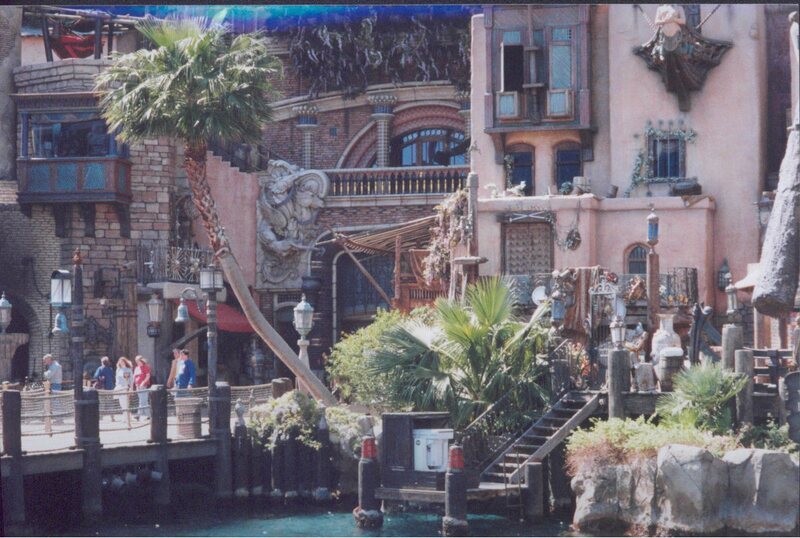 More pirates and treasures can be seen in the casino and shopping area. As soon as you walk through Mirage's front entrance you feel as if you are in a steamy TROPICAL RAINFOREST. Under a high dome grow more than a hundred different types of vegetation including orchids, bromeliads and other tropical plants. Take the walking path through the forest of plants, trees, waterfalls and pools. In front of the resort, a 54 foot VOLCANO erupts in the center of a lagoon filled with waterfalls, palm trees and lush landscaping. 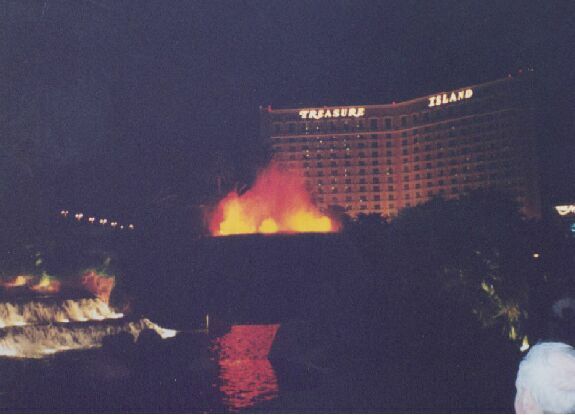 When the volcano erupts the "waterfall" turns to streams of lava and flames shoot high into the air. If you are standing close enough you can feel the heat. For the best view stand across the street. 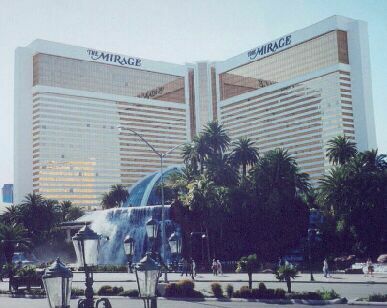 The Mirage is also home to Siegfried and Roy's animals, and a Dolphin Habitat. There is an admission charge for the following exhibits. At The Secret Garden of Siegfried and Roy you can see white and striped tigers, white lions, panthers, snow leopards and an Asian elephant. 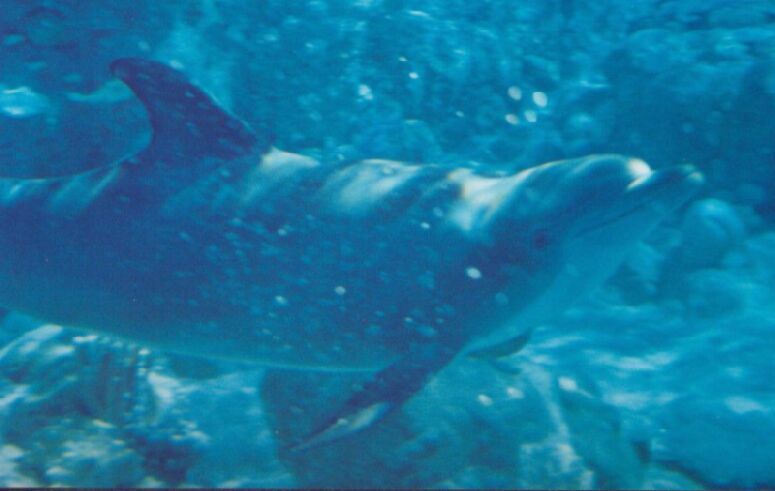 The Dolphin Display is a large pool with eight Atlantic bottlenose dolphins. There is no charge to see the "White Tigers Habitat" indoors at the Mirage. 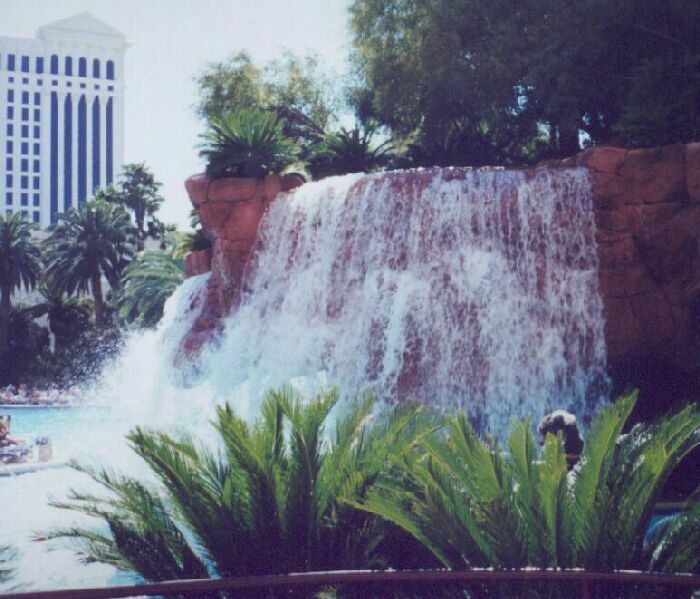 The tigers are on display in a "rocky terrain" with waterfalls and a pool.